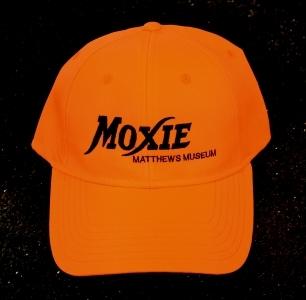 Adjustable Moxie cap, hunter orange with solid black logo and Matthews Museum tagline. 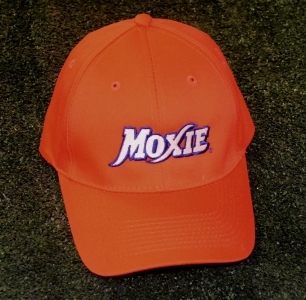 Adjustable Moxie cap, orange with blue outlined logo. 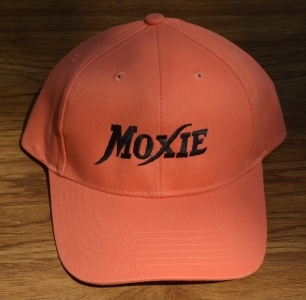 Adjustable Moxie cap, tangerine with solid black logo. 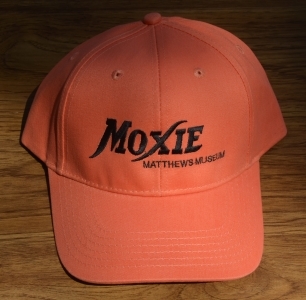 Adjustable Moxie cap, tangerine with solid black logo and Matthews Museum tagline. Adjustable Moxie cap, black with orange outlined logo. Adjustable Moxie cap, black with blue outlined logo. Adjustable Moxie cap, black with solid orange logo and Matthews Museum tagline.